Following a violent 20-year conflict, the leaders of Ethiopia and Eritrea have officially opened the border between their two nations. Ecstatic Africans rushed across the border in celebration of the historic event, many of them family members who were finally able to embrace after years of forceful separation. The countries that have been at odds since 1993 when Eritrea voted with a super majority to separate from Ethiopia. The border conflict eventually resulted in a two-year war in 1998 and harsh tensions between the two nations. Early in April, however, Abiy Ahmed took over as Ethiopian Prime Minister after the previous leader resigned suddenly in February amid massive anti-government protests. In Ahmed’s inaugural address, he called upon Eritrean leaders to aid him in ending the deadly two-year old border conflict and resolved to create a new chapter in the two nation’s histories. Ahmed’s administration has also been praised for its release of thousands of jailed political prisoners, and a greater focus on maintaining the basic rights of Ethiopians, as well as a more open relationship with the press. 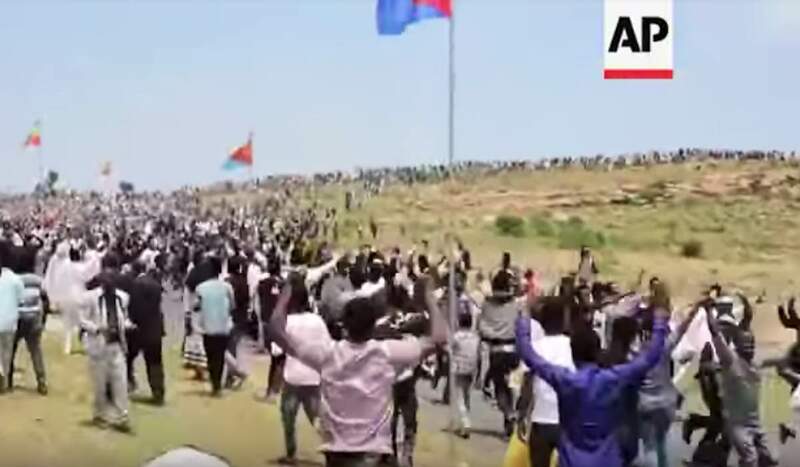 By reopening the border, Eritreans were invited to celebrate the Ethiopian new year alongside their international neighbors last week – and judging by footage that was released by the Associated Press, the festivities were happy indeed.